My regular readers will know that I have a great interest in the link between mind and body. I have always been interested in this topic, but my interest was heightened following the death of my father from Alzheimer’s (please read Dementia, I lost my father, don’t lose yours). Here in Barcelona I organise wellness retreats that treat our healt holistically, a real mind and body experience. 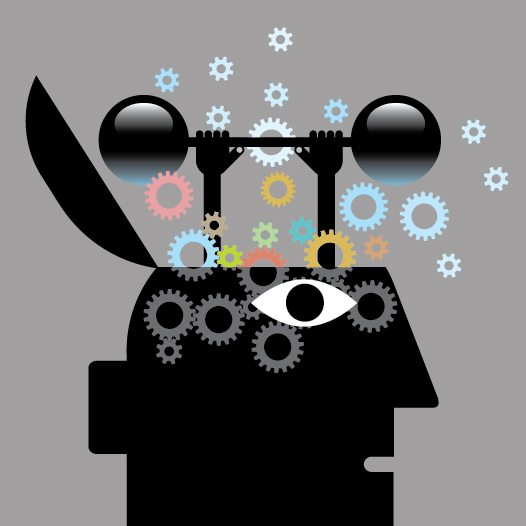 It is common to think that our mind is in control and telling our body what to do. But there is a lot of scientific evidence that shows the chatter between mind and body goes two ways, and the body is an integral part of how we think. I was therefore very interested to read a new book How the Body Knows Its Mind, by Prof. Sian Beilock, who provides the latest scientific evidence about the body’s influence on our psyche, drawing on work from her own laboratory and from colleagues around the world. On my PilatesEVO© and bodyFUNC© fitness educations, I encourage my students to open their minds to the fact that the body and the mind are to all intents and purposes one and the same. A significant part of my training is about the psychological level, whereas I find that the vast majority of training educations focus only on the physical which is my opinion a big mistake. So I give my student the tools and techniques they can use everyday in their training for themselves and their clients. I give similar talks to senior management when acting as a consultant to business. Until we accept this fact, it is my contention that we can never be the best teacher we can be, or the best manager we can be. There are still many people who operate in the physical plane only, and there is growing scientific evidence that supports my teachings that to do so is seriously and critically impacting on our ability to achieve the results we want, both physical and psychological. Beilock, a leading expert on the brain science behind human performance, believes the body-mind connection starts early. An area of particular interest to me that the idea that exercise can aid mental health as well as academic achievement. According to Beilock. “The research shows that getting kids moving is important not only for their physical well-being, but for their mental well-being, too.” She said schools need to emphasize “the “4 Rs” — reading, (w)riting, (a)rithmetic and recess. Boys’ academic achievement may especially benefit from recess, she added. Exercise is equally important for older adults, as it can promote healthy aging mentally and physically. “There are clear differences in brain health in fit, older adults compared with their more sedentary counterparts,” said Beilock. “And these differences carry consequences for thinking and reasoning as well as for memory.” Beilock stressed that aerobic exercise, which can alter the structure and functioning of the brain, is key for improving mental health. Activities like swimming, running, cycling, walking briskly or even doing household chores at a vigorous pace can benefit the brain, in addition to keeping the body fit. • Take active breaks from work or vexing problems to give your brain a chance to regroup and reboot. Physically walking away from the problem for a few minutes may help you solve it. • Your body’s posture and expressions are not just reflections of your mind — they can influence your mood. 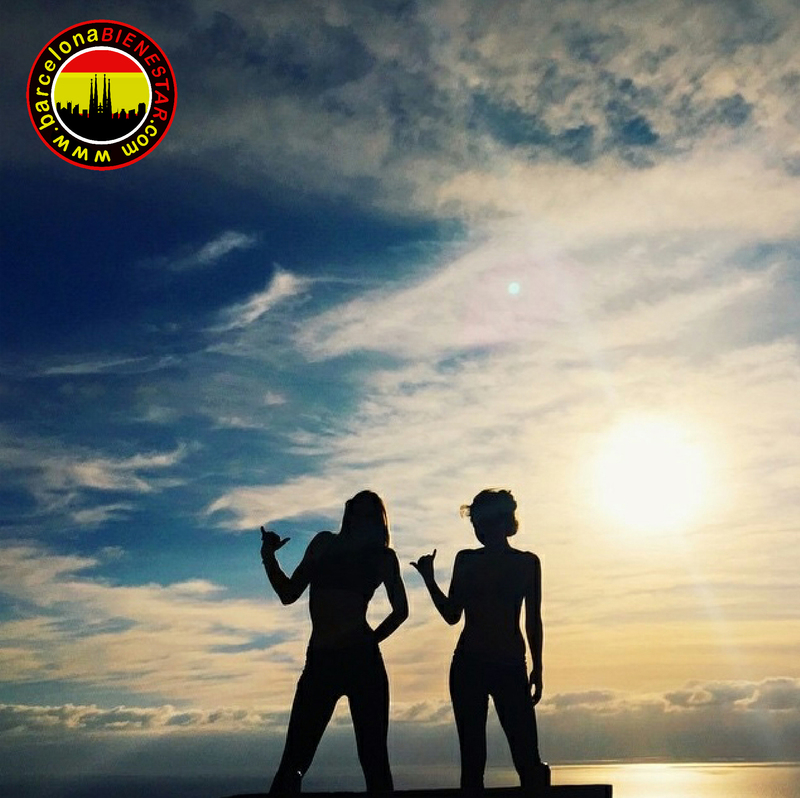 Stand tall to help give yourself confidence and to send a signal to those around you that you have brought your “A” game to the table. And be mindful of your facial expressions. Your brain uses your expressions as cues to feel emotions. Smiling can actually make you feel happier. • Practice in the real conditions under which you will have to perform — whether it’s public speaking, a test or an important match. It’s also good to practice in front of others so when all eyes are on you, it’s nothing new. • Write it out. Journaling can help you deal with the stress of a test or your worries in daily life. Physically downloading worries from your mind (by putting pen to paper) has positive performance outcomes and reducing that stress affects your health in good ways, too. • Spend time in nature as often as you can, and find time to meditate. New science shows that a walk in the woods rejuvenates our minds and improves our ability to pay attention and focus. Meditation for even a few minutes a day can help alleviate anxiety and chronic pain. It also can help with self-control that may be helpful for working to break bad habits, like smoking. “Little things we do can have a big effect,” said Beilock. We do not have to spend hours every day in order to improve our physical and mental health. By applying some simple techniques, we can begin to make a major shift in our life. Pilates Training: Are you faithful or adulterous? Is being faithful to your Pilates system for life a good thing or not? I think this is an interesting question, but why am I asking it today? Let me rewind a little. I was checking my emails on Sunday evening after the end of another successful Wellness Retreat here in Barcelona. My inbox was full of the usual spam emails that none of us like getting, but I accept that if we put ourselves out there in the virtual world of social media, websites, blogs etc, then we can hardly complain too loudly when someone picks up our details and contacts us can we? On the contrary, it means that our advertising is working! When it happens to me (and it does around 100 times everyday), I really do not let it spoil my day, in the same way I do not let junk post spoil my day, or TV adverts spoil my day, or phone calls trying to sell me something I do not want or need spoil my day, or leaflets that fall out of the magazines I buy spoil my day… Spamming (did you know the phrase “spam” comes from the Monty Python sketch first published in 1970? If you haven’t seen it then CLICK HERE to watch it. English sense of humour is required!) has been going on for ever just in different forms. I reply if think it’s worthy, or I simply lift my finger and press the delete button. My blood pressure doesn’t change and neither does my mood. Ok, I digress, let me get back to the title of my blog, Pilates Training. But the purpose for this foray into cyberland etiquette is that in my inbox (amoung the spam) was a message from one of my PilatesEVO master-trainers from Europe. 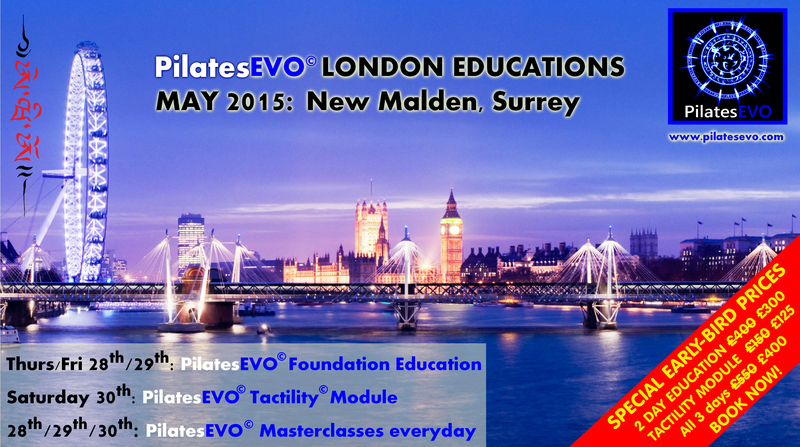 Whilst promoting a PilatesEVO© education, she was in contact with a Pilates teacher in London. I decided to write this article not so much because the Pilates teacher in question wrote back to a perfectly polite email in an incredibly rude and disingenuous way (and they did not even use salutation which is really just either lazy or bad form, or both), it was more about what she said. Her words were that didn’t my colleague realise who she was, and that she had been affiliated to the same school of Pilates for more than 15 years and she would never ever even think about learning any other form of Pilates. Whilst I wonder how any one who can write such an email can possibly be a good, professional teacher, we all know there are many systems of Pilates, and no doubt we have our favourite which is probably the one we studied first. But the purpose of my article today is to ask the question is being totally faithful to your Pilates system for life a good thing or not? My opinion is that it absolutely is not. Whether you like my PilatesEVO© system or any other system that is not your “usual” system, I totally respect your opinion. This article is not about the rights or wrongs of different systems. But to never try anything else is like saying that Ford is the best manufacturer of cars when all you have owned is a Ford. How can you even have an opinion? Even if you do not buy another car, at least take a few test drives! I believe that diversity in training and experience is what makes the best teachers, and those who have an insular attitude are missing out on potentially interesting and informative ideas that could complement or even add to their favourite way of teaching. I know Pilates schools that actively discourage their pupils from going over to the “dark side” and trying another school. What exactly are they afraid of? Are they so insecure about their method, or just afraid that one of their disciples might find a different system a revelation? I cannot see any negative reason for not being open minded about how and what other people teach. At the very least it might confirm to you that your system is the best one for you, but there is also a very high chance that you might just learn something new that will make you a better teacher. I always try to keep an open mind. I always except that I do not know everything (you should avoid at all costs anyone who ever tells you that they do because they are fools) and there is always room for new experiences and knowledge. But what’s your opinion? Have you always only practised one form of Pilates training? Who out there can speak of positive experiences from trying other types? I’d love you opinions and thoughts. As for me, I’ll have spam, spam, spam, spam, spam, egg and chips please. Chris Hunt is a Pilates and functional training presenter and educator based in London and Barcelona, Spain. He is the creator of Pilates EVO©, bodyFUNC©, and CEO of Pilates Rehab Limited and Sport Core Strength. He also created Pilates Carnival and Fitness Carnival, conventions where all profits go to local children’s charities. He organises Pilates events, retreats, fitness holidays and sports holidays in Barcelona and Ibiza. For more information about training with Chris in Barcelona, please click on Barcelona Bienestar. To learn more about Chris Hunt, please read Just who is Chris Hunt anyway? You can also subscribe by completing the form on the this BLOG to receive articles and special offers straight to your inbox. 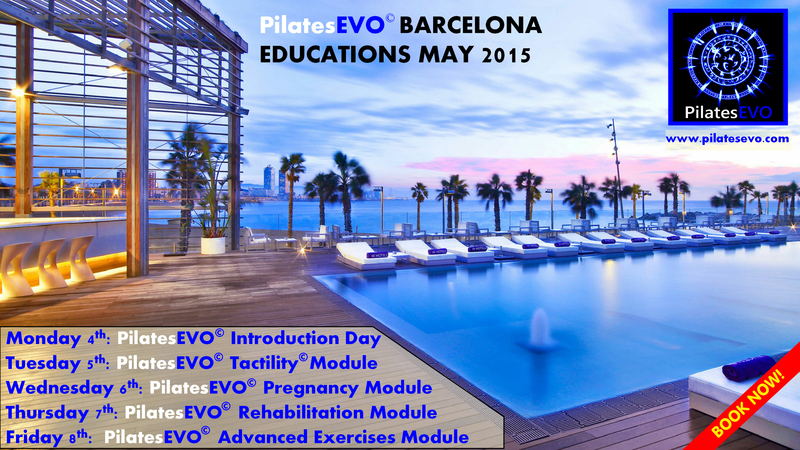 For the latest news about PilatesEVO training and educations, click here. barcelonabarcelona bienestarchrischris huntchris hunt pilatesdifferent pilates systemsfitness holidays barcelonafitness holidays ibizafunctional traininghuntibizamonty pythonpersonal trainingpilatespilates barcelonapilates evopilates methodsretreatssport holidays barcelonasport holidays ibizawhich pilates system? I have featured the model Alessandra Ambrosio before on my blog. Maybe you have heard of her; she is a Victoria’s Secret model, she’s 34 and has two children. She also has a passion for Pilates, which is why I have an interest in her. Last week, pictures were released in the press of Alessandra at a Pilates session in the US, having returned from a job in Paris. What got me thinking was not the colour or pattern of her leggings (as the press seem to be obsessed with) but the nature of the Pilates class she was attending. You will see from the picture below that the class is in the middle of a large gym (in Brentwood), and the instructor is mic’d-up. Whilst I am not directly criticising the gym or instructor, this is not the way or the environment that I teach Pilates, nor is it the way I think Pilates should be taught. One of the reasons why I created PilatesEVO was because I saw how many teachers ignored the mind/body connection, the awareness of body movement, the focus on proprioception. This is why I stress mindfulness meditation to my students. So my question for you today is this, can Pilates be taught properly and effectively in an open gym environment, with presumably the talking, grunting and groaning of other gym users, with music, and the noise of equipment, that necessitates the instructor using a microphone? Please whisper your answers to me via this blog, or of course if you want to chat privately then email me. Rebecca Judd: Pilates, Pilates, Pilates! It was only six months ago that Rebecca Judd caused a backlash on social media after she posted a super skinny bikini selfie. See my previous post Rebecca Judd: Skinny on Pilates. This post received so much feedback from the Pilates community that I thought it appropriate to write again about Rebecca today. Some would say that she certainly cut a somewhat healthier figure as she attended the opening day of Mercedes-Benz Fashion Week Australia on Monday in Sydney. Bec gave birth to her daughter Billie Kate in January 2014 and son Oscar three years before. I suspect that the new pictures will not create the intense feedback that her previous pictures did, but as always it is a matter of opinion as to what is right or wrong, don’t you agree? 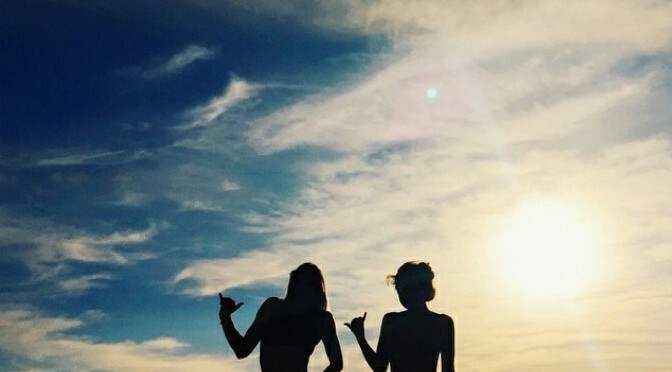 Pilates makes you taller: Just a tall story? Regular readers of my blog will know that I am happy to talk about how Pilates in being reported and represented in the International Press, and I think it is important that we all know what is being said. Rosanna, who is now 30, won Miss World in 2003. She did an interview with an Irish newspaper and told them that she has been doing Pilates since she was 18, and she says she has added a half-an-inch to her own height since she became a devotee. She told the Sunday Independent: “I’ve stretched out about half-an-inch through Pilates – I was 5ft 9 and now I am 5ft 9-and-a-half inches. Apparently it runs in the family, as her mother Diane – who encouraged her model daughter to take up Pilates in the first place – also insists she has grown taller by practising the exercises. Diane took it up as part of her fitness regime after she broke her neck in a horse-riding accident in the mid 90s. She also said that Pilates has helped her cope with stress, boost her confidence and improve her posture. Three hours of Pilates at a local studio is now her weekly routine, which also includes two hours of gym-training and another hour of running or time on the cross-trainer. She also follows a strict dairy and gluten-free vegan diet. Rosanna is not the only person who says that they have “grown” due to Pilates. Jennifer Aniston has said Pilates “makes me feel taller”, while singer Belinda Carlisle claims to have grown over two inches after practising it for eight years. Today I want to ask you what is your experience and opinion about this topic of getting taller. What do you tell your clients? Of course “getting taller” is something that a lot of people associate with Pilates, and I have even heard some suggest that Pilates machines stretch the body is a similar way to ancient torture equipment! Of course we all know that the reality is that Pilates certainly makes people feel taller, and it can also add some physical “height” as the posture improves and people stand up more. 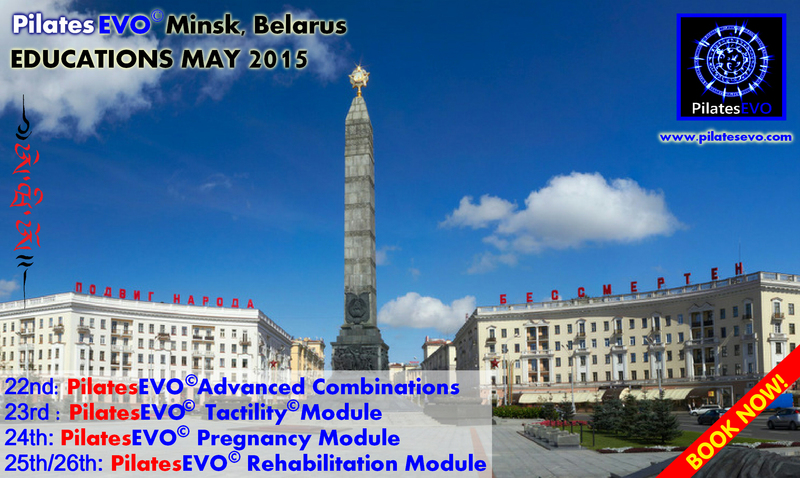 The next PilatesEVO educations will be in Jordan in April, and in Minsk, London and Barcelona on May. Please click on PilatesEVO Educations for more information. I have explained before that I am not obsessed with celebrity. Honestly. I have never bought Hello Magazine. What I am obsessed with is Pilates. And whilst not every one agrees, it’s my opinion that if someone starts Pilates because their friend, neighbour, sporting hero or favourite celebrity does Pilates, then why not? I’ve had comments about glamorising Pilates, about how privileged celebrities are, about creating false hope, even about living on a different planet. But I am sure that I live on planet Earth (most of the time) and so whilst I always respect everyone’s opinion, it is my humble opinion that these people are missing the point of my posts and they are taking everything a little too seriously. All I am doing is raising the awareness of Pilates. If you do not or can not understand that, then it is your choice not to read my blog today! This weekend, the UK television channel ITV will screen an interview with Madonna on the Jonathon Ross Show, and when asked about why she was not more seriously injured by her recent fall, Madge says that it’s because she knows how to fall having fallen of her horse many times, but that also she has a strong core. So we can thank Pilates for ensuring that the show goes on for the Queen of Pop! It’s Oscars time again, and again this year there is only one winner, Pilates! 12 months ago I wrote about Cate Blanchett after her Oscar success (you can read Cate Blanchett Oscar winner and Pilates fan here). Now Pilates is at it again with Julianne Moore winning Best Actress for Still Alice, and Patricia Arquette winner of Best Supporting Actress for Boyhood. Both actresses have in the past spoken about their health habits and both have been regular Pilates fans. More celebrity hogwash I hear some of you say? Maybe, but I always hope that by promoting Pilates using the successful celebrities that use it and swear by it, we can inspire other people to try out our beloved system. OK, being serious for a moment, if we all know not only how to teach Pilates, but also about how we might be able to inspire other to start, then that can only be a good thing can’t it?